The following is a critique, by Ted Trainer, of the energy chapters in Amory Lovins’ new book, Reinventing Fire: Bold Business Solutions for the New Energy Era. Ted is seeking feedback, so please head over to the BNC Discussion forum and leave your comments — on his appraisal, or on your own thoughts of Lovins’ prose. A note on the energy chapters in, A. Lovins, Reinventing Fire, Rocky Mountains Institute, 2011. This book continues the presentation of the Lovins perspective, essentially the claim that there is great scope for conservation measures and alternative technologies to solve our problems and enable maintenance of rich world economies and lifestyles. He says at least 80% of US power, and possibly all of it can come from renewable energy sources by 2050. My comments refer only to the two energy chapters, one on transport fuel and one on power supply. I don’t think these chapters add much to his Winning the Oil End Game. More importantly, I regard the arguments as quite unsatisfactory and unconvincing. They are almost all superficial; there is no detail and no derivation of conclusions. The core issues require numerical analyses; they are about whether or not quantities and targets can be achieved but there are few if any explanations of this kind in the energy chapters. The approach is to make vague and generalised claims, support them with a few spectacular examples, and proceed as if this establishes that the practice in question could be implemented everywhere. As Smil (undated) said long ago, Lovin’s style is “… discourse by declaration.” This is disappointing as Lovins has extensive expertise on these issues and it could have been applied here more effectively to clarifying the potential and limits of renewable energy. Lovins claims huge reductions in energy demand will be achieved by efficiency effort. His renewable scenario actually assumes a 70% reduction on the level of electricity demand he says that business as usual would produce by 2050 (from 6000TWh/y down to 1650 TWh/y.) I can’t find any evidence or reasoning supporting this claim in the book. There is much discussion of energy reducing technologies, but no case that these would add to the claimed reduction. Regarding the difference conservation etc. might make, the estimates I am aware of for the rich countries indicate in recent years a business as usual demand trend rising to about twice the present level by 2050. (Demand is down at present, partly due to the GFC.) Clear and confident estimates of future efficiency gains do not seem to exist, understandably, but for working purposes I assume a 33% reduction to the level business as usual would generate. Note that US population is rising significantly (.91% p.a.) and at this rate would be 50% higher by 2050, so Lovins is actually assuming a very big reduction in energy consumption per capita by 2050. Smil is one among many who stress the huge gulf that typically exists between what is technically/theoretically possible on the laboratory bench and what is likely to be achieved in the real world. In my critical discussion of the “Tech-fix” position (Trainer, 2012a) I set out the cascade through what might be a) “theoretically possible” without consideration of limiting factors, b) technically possible given real-world difficulties, c) economically possible, e.g., in view of the infinite cost of being as efficient as is possible, d) has an acceptable EROI, e) is socially acceptable, and f) is the final achievement after the Jevons or rebound effect has operated (e.g. where increased car efficiency results in an increase in driving and fuel use.) A good example is where Smeets and Faaij (2007) conclude that global biomass production potential is 1,550 EJ/y, but Field, Lobell and Campbell (2007) conclude that the amount that might be obtained after taking into account all limiting factors would be a mere 27 EJ/y. I don’t think there is any reference in Lovins’ two energy chapters to any of these factors, or even to the EROI concept. Lovins always has an enthusiastically optimistic view of probable future trends in costs. However discussion of all issues to do with energy, resources, technology, environment and consumption should be based on the assumption that in the near future there are very likely to be large and irreversible rises in the prices of energy, resources, materials, construction, plant and technology etc. These will multiply through the whole economy, impacting further on the construction of new energy technologies, cutting into the availability of capital to build them in large quantity, and into the incomes and capital available to pay for energy and efficiency improvements. Lovins says that the capital cost of transition to providing 2050 US electricity from renewable sources will be $6 trillion. No reasoning in support for this figure seems to be given in the book. Firstly this is misleading as plant is usually assumed to last only 25+ years, so a $6 trillion construction cost would mean that $240 billion would have to be paid every year to maintain the amount needed. The renewable scenario outlined assumes a generating capacity of 1,650 GW (peak capacity). In Trainer (2012b and 2012c) I work out the capital cost of the amount of wind, PV and solar thermal generating plant required to deliver 1 Watt in winter, at long distance, and net of embodied energy cost of the plant’s construction. (The figures are $4.6, $12.8, and c. $20.) When these are applied to the above capacities that Lovins assumes the total capital cost comes out at around that which he arrives at for the generating plant, i.e., in his case $2.2 trillion. (I make it $2.8 trillion.) Note that the rest of his $6 trillion total is made up of factors such as distribution and operations and management costs. The assumed PV contribution is also implausible for the US, being around 30%. PV contributes nothing for about14 hours on a sunny day, and little through winter days in North America. He assumes a considerable dollar cost for “distribution”, i.e., local reticulation, but assumes that there would be little long distance “transmission, i.e., via HVDC lines from mid-west wind regions or south west solar thermal fields. (He assumes a negligible solar thermal contribution.) He says that transmission loses would be less than 3% of energy produced. This seems to mean that he assumes that the PV will be located close to users, eliminating the need for transmission. (He dwells on the virtues of localised generation.) But most US consumers are in northerly regions which would be generating very little via PV in winter. He seems to make little or no provision for the huge storage task that would be involved, especially as he does not rely on solar thermal heat storage. Below it will be asked what happens at night when there is no PV input, and the winds are down across much of the US? He assumes only 60 GW of hydroelectric capacity so it can’t plug such gaps. The problems of intermittency, big gaps, redundant plant required, and resulting system capital cost. Most of the foregoing numbers are based on annual average demand and output assumptions, and are thus quite misleading. What matters is the amount of plant needed to cope with peak demand, not average demand, in conditions of minimal availability of renewable sources. Lovins does not discuss these issues. More importantly, how much wind and solar generating capacity needs to have been built to maintain supply when winds and solar radiation are below average for long periods? Oswald et al. (2008) provide a clear illustration of the magnitude of this problem. (For other studies see Trainer, 2012b.) They report that in February 2006 Western Europe had almost no sun or wind for two weeks, and in this period UK demand reached its highest peak for the year Existing and foreseeable electricity storage technologies cannot possibly cope with such problems. A typical solar thermal plant in operation today might be capable of storing 200 MWh(e). To get the UK through two weeks without sun or wind would require storing about 14 days x 24 hrs x 60GW = 20 million MWh. (e), i.e., 100,000 times as much as a solar thermal plant can store today. Such problems can only be dealt with by resort to fossil fuelled or nuclear plant standing by idle much of the time. As Lenzen (2009) points out these should be regarded as being parts of the wind and solar system and their cost should be added to the renewable account (just as my solar PV house lighting system includes the cost of the emergency generator that is needed from time to time.). Thus renewable energy supply systems involve serious problems to do with the provision of redundant plant, and these greatly increase system capital costs. The term “capacity credit” is often used to indicate the amount of fossil fuelled generating plant that can be retired if a certain amount of renewable plant is added to a system. However this concept is somewhat misleading as it is to do with a probability of “loss of load”. Even though there might be a very low probability of losing almost all load, from time to time that will happen even from a combined wind and solar system extending over a continental area, as Oswald and others have shown. Sometimes it is argued that this problem can be overcome if systems are very widely spread, because “…the wind is always blowing somewhere”. Firstly, as Oswald et al. show, sometimes it isn’t blowing anywhere. But even if it is, the question is, where is it blowing this time? Are we to have built enough wind turbines to meet all demand in that region where it is blowing today, and also to have built enough in the different region which is the only place where it will be blowing next time there isn’t much wind anywhere else, and so on…? Obviously when there isn’t much wind anywhere but it is blowing somewhere the system capacity is very low even if you do have turbines everywhere, and demand can be met only if some non-wind source plugs the gap. It is difficult to assess the transport fuel chapter as it seems to consist mainly of very optimistic claims for which little or no demonstration or derivation is given, and which seem quite implausible. It is not helpful to have impressive possibilities mentioned; what matters is evidence which enables quantitative conclusions. Lovins says business as usual transport energy consumption will go to 25 million barrels a day by 2050 but his proposals will cut it to 3.1 Mbd. (p.66), i.e., by a remarkable 88%. Plots are given attributing the reduction to various factors but without any case showing that these reductions are plausible. One major factor is “Smart growth”, meaning better design of settlements requiring less travel, claimed to account for about half the savings he is saying are achievable. No evidence or argument is given to indicate that this is technically plausible or socially achievable. Note that a major reducing factor is transfer of much transport to electrical drive, adding to the reasons for questioning the above greatly reduced electrical demand claim. The reduction plots show the IEA’s expected saving, i.e., a 5.5 Mbd drop from the 2050 anticipated 25 Mbd, and then Lovins proceeds to add the reductions he thinks are possible, but it is not clear whether these are completely separate from and additions to those the IEA has in mind. We would need to see that there has not been double counting here and the lack of explanation does not enable this. There seems to be no discussion of the embodied energy cost of electric vehicles. They will be lighter but the new plastic bodies are likely to have at least three times the cost per kg of steel. In addition lithium etc. batteries will have a much higher energy cost than petrol tanks. The global availability of exotic battery materials is also not considered. These notes indicate that it would be far too capital costly for the US to run largely on renewable energy. Lovins’ $2.2 trillion figure would be more or less correct if a) demand could be cut to much more than 70% below the 2050 business as usual level, b) plant could run at its average annual output level all the time, as distinct from at winter average levels, and most importantly, if c) there were no lulls or big gaps in solar radiation or wind. And note again that the $2.2 trillion sum is just for electricity supply and electricity accounts for only about one-fifth of total energy consumption. 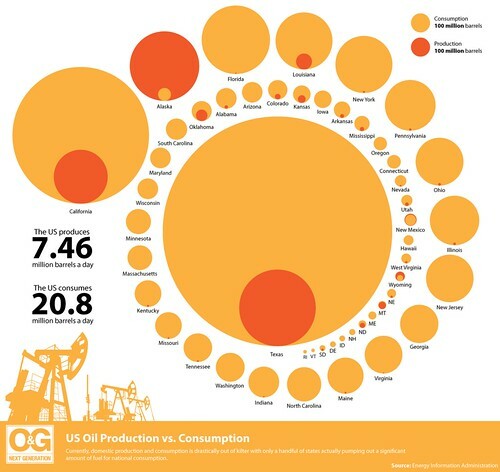 Yet this sum represents an annual investment that is probably 2.5 times the present US investment in all energy. (Surprisingly, figures on national energy investment seem not to be recorded.) These points indicate that a renewable system capable of supplying 80% of probable 2050 US energy despite long periods of little sun or wind would involve such quantities of redundant plant that it would have an annual capital investment cost many times the present cost. Elliston, B., M. Diesendorf, and I. MacGill, (2012), Simulations of scenarios with 100% renewable electricity in the Australian National Electricity Market , Energy Policy, 45, 606 – 613. Lenzen, M., (2009), Current state of development of electricity-generating technologies – A literature review. Integrated Life Cycle Analysis, Dept. of Physics, University of Sydney. Smeets, E., and A. Faaij, (2007), “Bioenergy potentials from forestry in 2050 — An assessment of the drivers that determine the potentials”, Climatic Change, 8, 353 – 390. Smil, V., (Undated), Rocky Mountains Visions: A Review Essay, PDR, 26,1. Trainer, T., (2010), The Transition to a Sustainable and Just World, Envirobook, Sydney. It was good to hear the topic raised on morning radio and essential that “decarbonize SA” called in and provided a fresh perspective. No one however brought up the ability to shorten the half life of the fissile. new tech in reactors was discussed but not named, nor did the message about the inability of alternative energy to provide base load power. It appears the messaging needs to be clearer and the consequences of inaction made in firmer language. Finally the source of the fuel also gets over looked the fact that we don’t have to dig up the uranium to run these power plants. Thankyou for your comment however, it will not be read by many or answered here. BNC has a new discussion forum where you should now go to comment on BNC posts and other topics raised by contributors to the forum. Please go there and re-post this comment as advised by Barry.